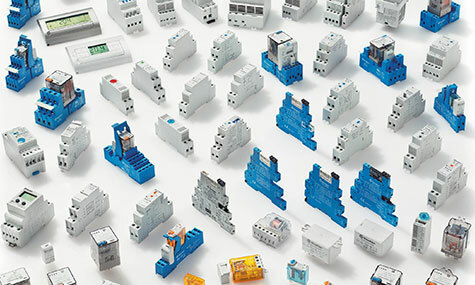 Relays | UK Electrical Distributors – E. Preston (Electrical) Ltd. Relays, modular step relays, monostable relays, ultra-slim pcb relays, relay interface modules, miniature PCB/plug-in relays, low profile PCB relays, miniature industrial relays, safety relays, power relays, miniature power relays, relay bases, coil indication & EMC protection. As an official distributor for brands like Crouzet, Crydom and Finder, we have access to hundreds of relays suitable for a wide range of applications. For over three decades we have been building strong relationships with our network of suppliers, giving us access to hundreds of electrical components at competitive prices. We have our own warehouse facility in the UK and we endeavour to maintain appropriate stock levels, meaning we can get your order out to you quickly. For over thirty years we have been building strong relationships with our supplier network, giving us access to a huge range of components at competitive prices. We endeavour to maintain appropriate stock levels in our UK warehouse facility, meaning we can get your order out to you quickly. You can buy electrical relays online by clicking the link below.